Mary Ann began Swing dancing in 1982 when she met the man who later became her husband, Jack Bridges. Mary Ann is virtually known by every Swing dancer in the nation for having been Co-Director of the U.S. Open Swing Dance Championships (along with Jack) from its inception in 1983 through 2000. Her part in running the event for those eighteen years reflects the growth of Swing dancing on a national level and their decisions on divisions, rules, and formats, etc. have had a long-lasting impact, and were quite often at the forefront on the national Swing dance scene. In 1995, Mary Ann expanded her role in Swing dance promoting by founding a second Swing event, The Jack & Jill O’Rama, which she directed and co-directed for eight years. 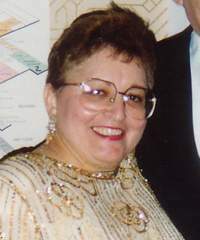 In addition to being a promoter and event director, Mary Ann judged (often serving as Chief Judge) at a variety of Swing dance events for many years.